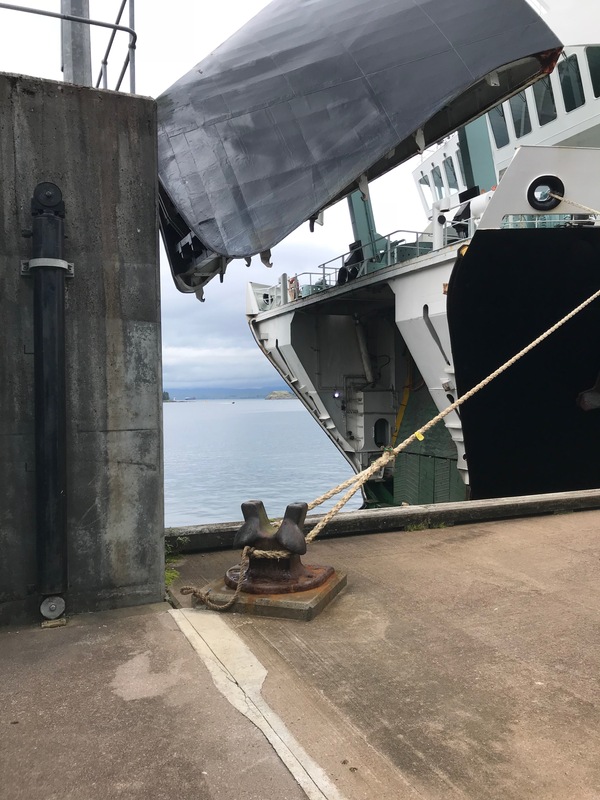 In order to get to the Outer Hebrides we had to catch a ferry from Oban. 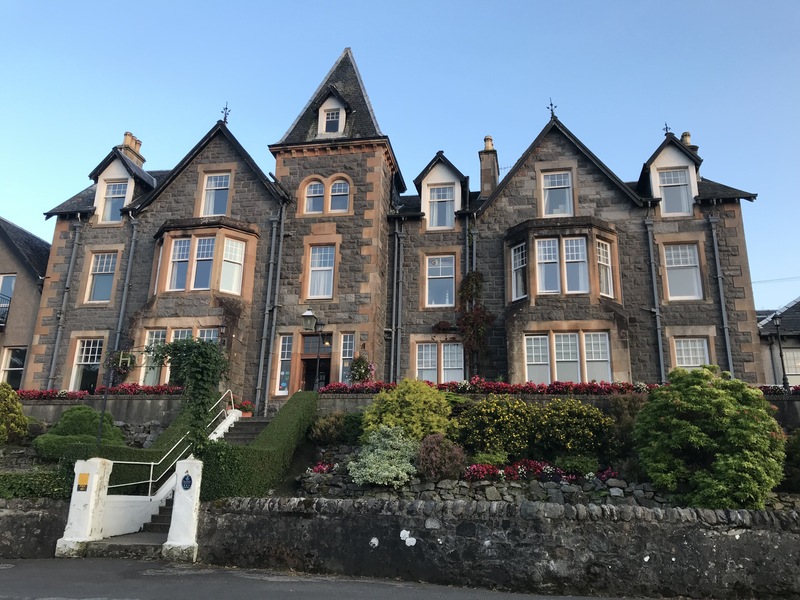 We had booked a Bed and Breakfast not far out of Oban and spent the night there before catching the ferry the next day. We had time to look around Oban as the ferry didn’t leave until later in the day. This was the view from our B&B unfortunately the standard of the B&B wasn’t great but it was a bed. 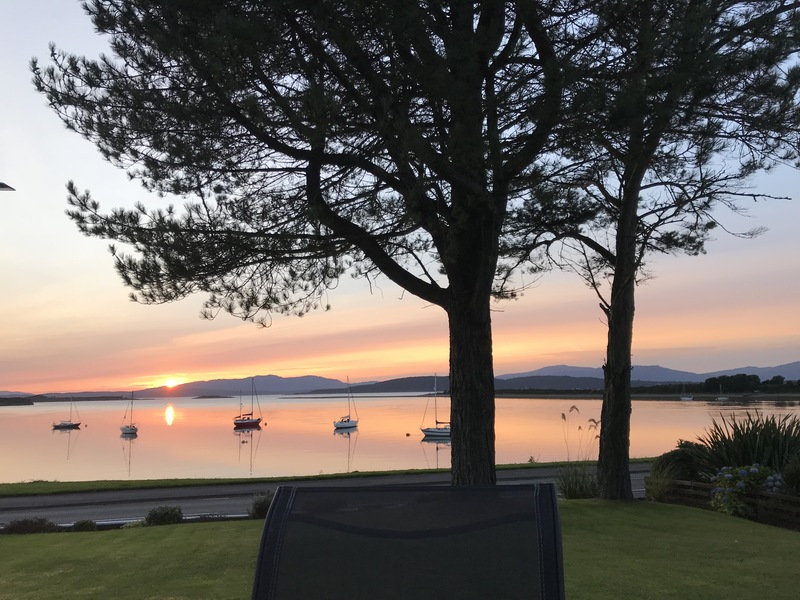 We walked from the B&B to a local restaurant for a meal but it was booked out so we walked a little further and came across this wonderful place. The Falls of Lora Hotel. 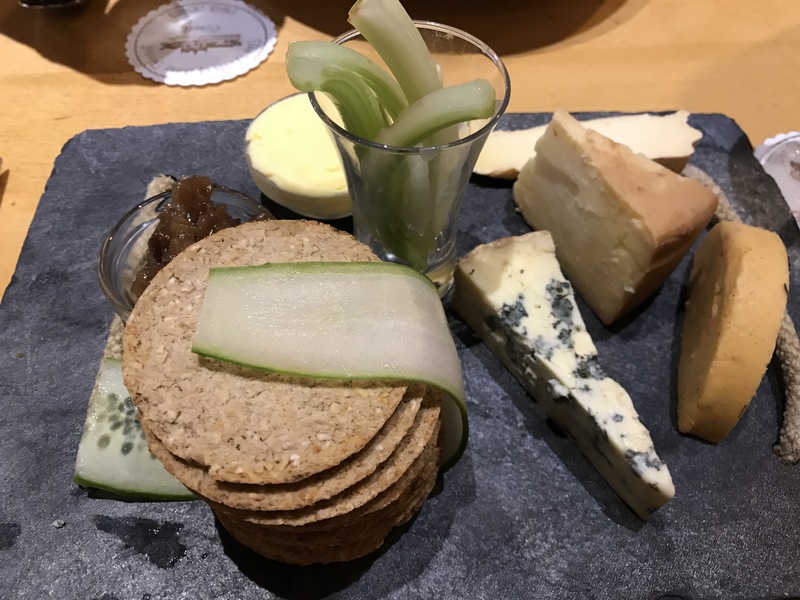 We were able to procure a table for dinner and enjoyed a delicious meal, part of which was this fantastic cheeseboard with the most delicious oatcakes. The following morning we had a bit of a wander around Oban. 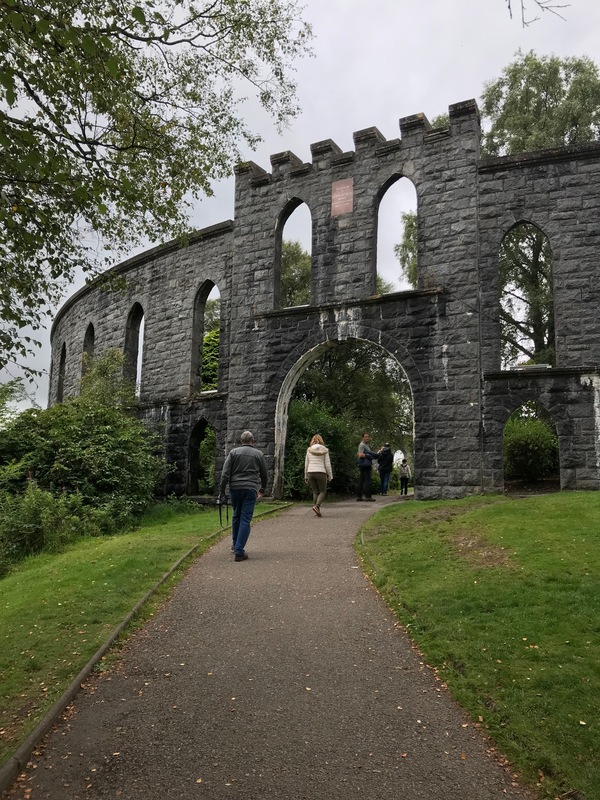 We had been there previously but we hadn’t taken the time to visit the folly, McCaig’s Tower. 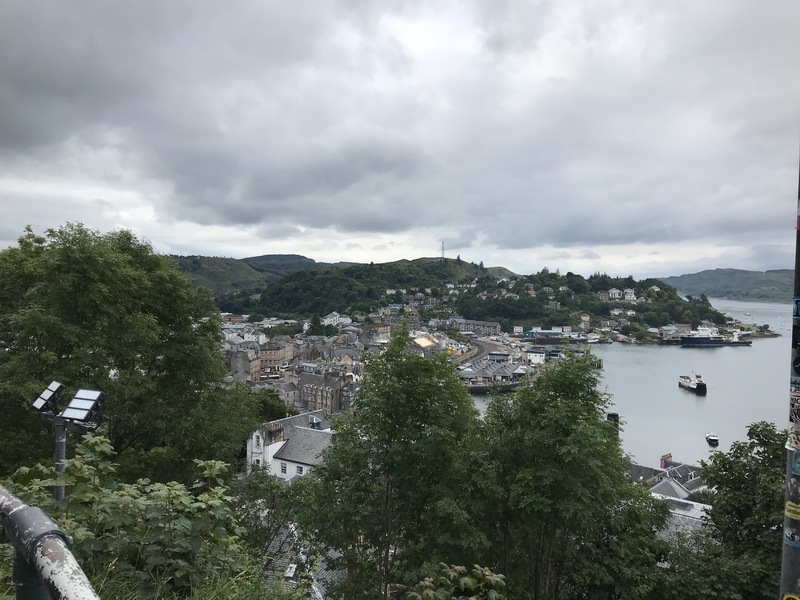 There is a great view of Oban from the folly. 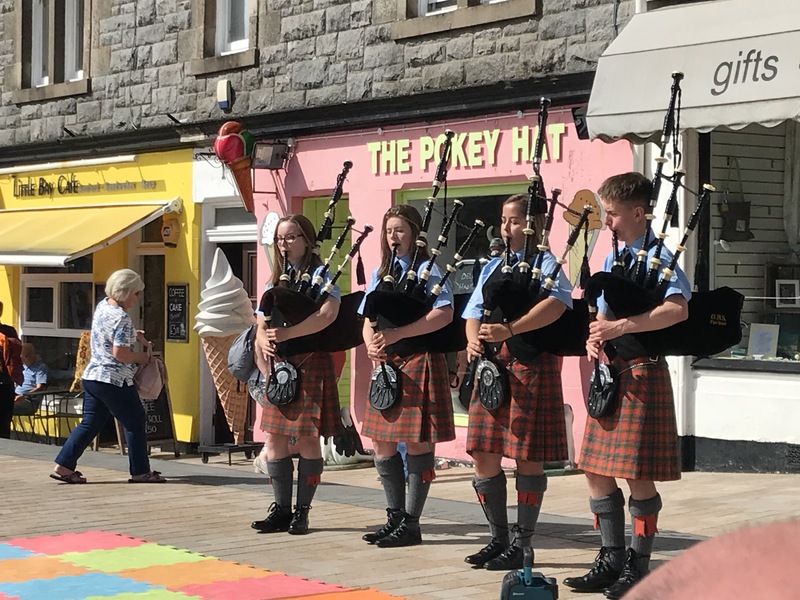 Back down in the town we had time to visit the distillery and we also were fortunate to see a display of Highland dancing and pipe music. 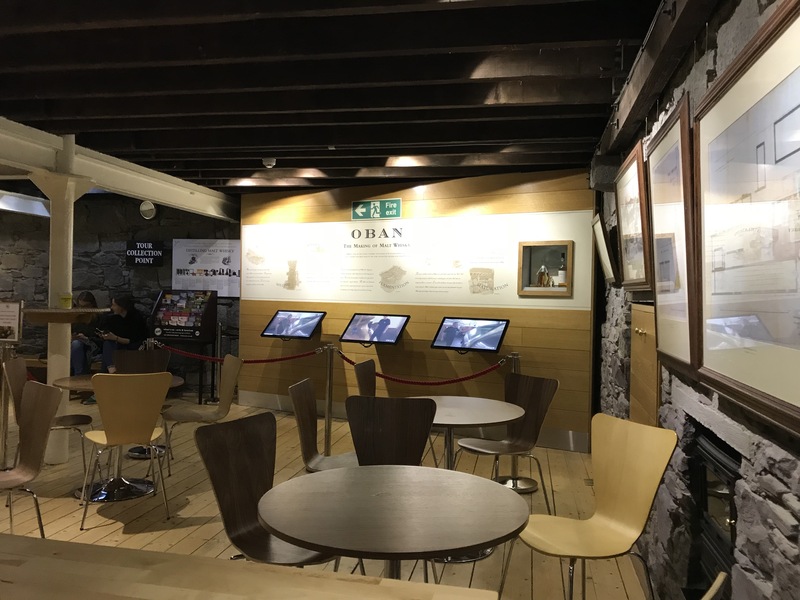 The visit to the Oban distillery was interesting and we bought a bottle of their whisky after doing some tastings. Our ferry crossing was from Oban to Catlebay on the island of Barra. This was the first time we had seen the front of a ferry open up to take the cars, we were used to seeing a ramp lowered to let cars board. 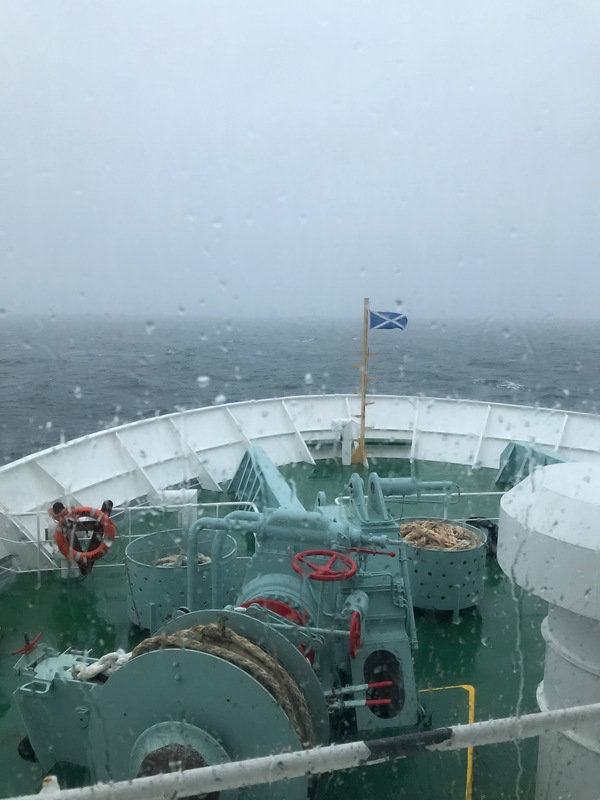 The weather was not the best when we were on board but we were excited to finally be on our way to the Outer Hebrides. 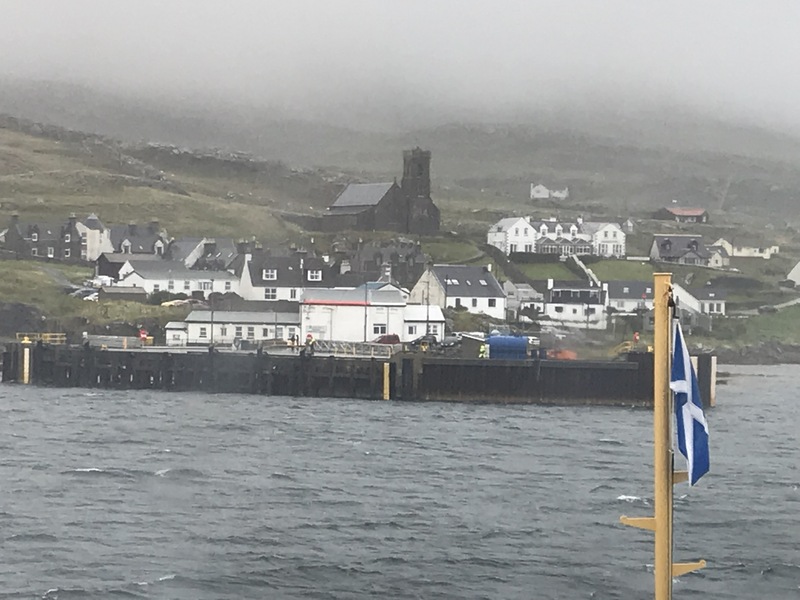 It was still dreich when we arrived at Castlebay but our welcome at the Craigard Hotel was great and we felt comfortably at home. New shoes, new shoes, red and pink and blue shoes. . . . I do get there in the end. . .
Cumquat marmalade or is it jam? Clivias and bromeliads, plants we didn't grow in Bungendore.